Essential Travel likes to ensure that you are always protected on holiday, whether you are travelling on foreign shores or enjoying a local holiday. Now you can purchase breakdown cover for any local travels. Our unique partnership with StartRescue offers you comprehensive breakdown cover and roadside assistance for your car. 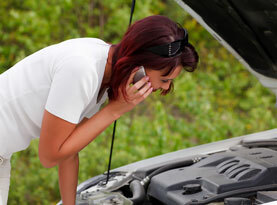 Insuring a car against the possibility of a breakdown should be a precaution that every motorist is willing to take. Whether you are driving down the road to a friend's house and get a flat tyre or experience a mechanical issue in the middle of the night, it's important to have an affordable and convenient breakdown coverage plan to fall back on. Purchasing breakdown cover for the UK means that you save money and can drive with ease, knowing that should you need vehicle assistance, assistance will be on its way. Essential Travel has joined forces with StartRescue to offer you great benefits with a range of breakdown cover options. As well as European breakdown cover for business trips and holidays, the UK breakdown cover option gives you flexibility and choice tailored to your budget and needs. Insure yourself at home and abroad and take advantage of vehicle recovery, personal cover - insuring up to 4 people in a household - and 5-star policies for maximum coverage. Our personal breakdown cover allows you to travel with peace of mind, knowing that any vehicle that you travel in is covered for accidents and breakdowns. Whichever way you choose to travel - alone or in a friend's car - you will enjoy peace of mind knowing that you are safe in the event of a breakdown. Enjoy the convenience of booking your UK breakdown cover plan from the comfort of your computer. Simply head to the quote form above and get booking.